Enphase Energy, Inc. is the #1 microinverter company globally. Enphase was founded in California in 2006 and has been publicly traded on the NASDAQ since 2012. As of August 2017, Enphase has shipped 15 million inverters for 661,000 installations in more than 100 countries, and their products are currently responsible for 3GW (DC) of power generation capacity. Enphase employs more than 300 people in 10 countries around the world, including state-of-the-art R&D facilities in California and New Zealand. 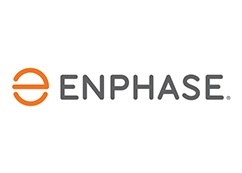 Enphase’s flagship microinverter product is now in its sixth generation and Enphase has up to this point received over 151 issued patents for their developments. Microinverters attach directly to each individual PV solar module allowing each module to produce usable power independently. This modular approach reduces the potential negative affects of shading, dust, or debris, and allows for a flexible design that can be expanded at a later time. Microinverters also eliminate the risk associated with having a single point of failure that exists with string inverters: If a microinverter fails, the rest of the system operates without issue. If a string inverter fails, no usable power can be harvested from any of the modules connected through it. Enphase offers microinverters for both residential and commercial use, module-level monitoring capabilities, and even an AC battery product that is fully compatible with their microinveter technology. Enphase’s latest microinverter products have reached a CEC weighted efficiency of 97.0% and have built in functionality that inherently allows any system they are installed on to be compliant with the rapid shutdown requirements in the 2017 NEC. Their technology has also been certified to meet the new UL1741 SA standard which relates to a distributed system’s compatibility with the grid. Through Enphase’s MyEnlighten portal, homeowners are able to monitor their Enphase system production and home energy consumption from any web-connected device. This software provides easy to visualize trends and at-a-glance data in monthly, daily, or even 15-minute intervals. Enphase employs ISO – Certified quality and an environmental manufacturing approach. As a part of their quality testing, Enphase tests their microinverters for as long as 1 million hours (which is about 114 years). Enphase is a global leader in PV solar inverter technology, but is a Enphase branded product right for you?